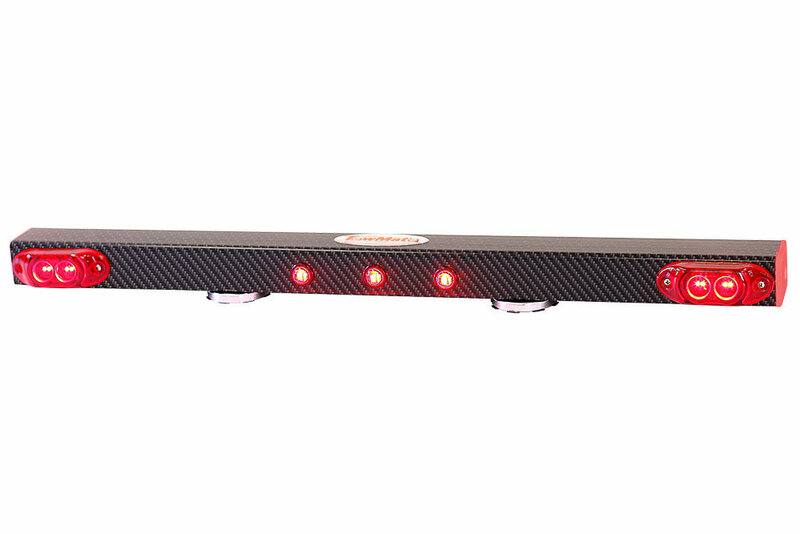 32" wireless tow light provides stop, tail, and turn signals that are distinctly visible. The unit features two 4.5" high-intensity LED's modules on either side of three DOT markers in the center. The CA32 also features side marker lights for optimum visibility while in use and two 100LB pull scratch resistant magnets for a superior hold to the vehicles surface. Comes standard with a cigarette lighter charge cord and 4-Pin round transmitter. Range 1,000 feet.